One of the film world’s favorite villains is the serial killer who stalked London’s impoverished Whitechapel in London between the years of 1888 and 1891. 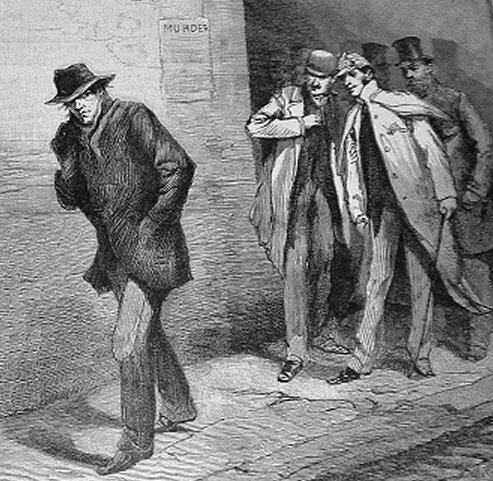 Called Jack the Ripper, he preyed on poor lower-class women, most of whom were working as prostitutes when he picked them up and gave them the slice-and-dice treatment. However, census records from 1881 revealed some interesting new facts about the Ripper’s victims and the digitization of the census by the website FindMyPast.com has given Ripperologists a wealth of new information to pore over. Charles Manson and Jack the Ripper have a lot in common. Both serial killers are incredibly fascinating. Mason because he was captured and given a platform in which to spew craziness and bad music, and Jack because he was never captured. Both preyed on women. Both were expert media manipulators. Both of them are the center of cottage industries. Both are incredibly famous for all the wrong reasons.